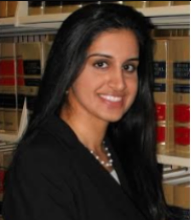 Zainab K. Rizvi is “of counsel” to Hanten & Associates, PLLC and the Principal Attorney and Founder of the Law Offices of Zainab K. Rizvi. Mrs. Rizvi is among the top immigration law attorneys in the Houston area and is highly respected among her peers. She specifically works in the area of employment based immigration and family based immigration cases. Her clientele includes small, mid-size and large companies as well as individuals and families. Whether it is assisting companies in sponsoring foreign nationals for employment based petitions or helping unify families in the U.S., she takes great pride and is dedicated to her work. Mrs. Rizvi is experienced in successfully representing clients before the U.S. Department of Labor, the Board of Alien Labor Certification Appeals, U.S. Citizenship and Immigration Services, and the Administrative Appeals Office. With regards to her immigration practice, she has represented clients throughout the world. She also assists her clients in estate planning and business transactions in Texas. Her motivation and desire to help others in the community stems from the fact that she is a second generation South Asian, coming from a long line of immigrants herself. She is actively involved in volunteering within the Pakistani and Indian community throughout Houston and the surrounding areas. Mrs. Rizvi has provided superior representation for her clients and continues to follow in that tradition. She is dedicated, dependable and provides personalized attention for every case. © Hanten & Associates. All Rights Reserved.